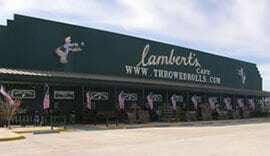 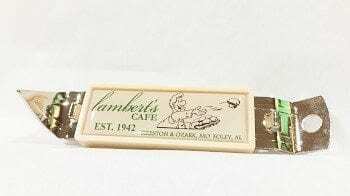 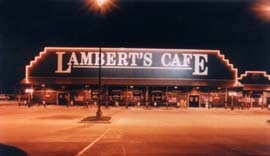 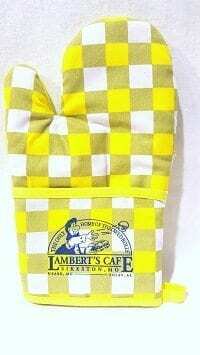 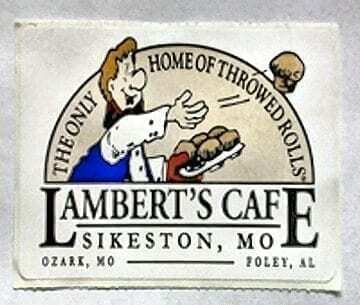 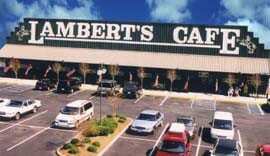 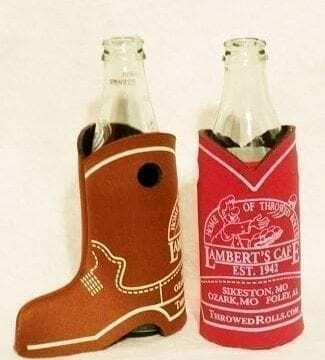 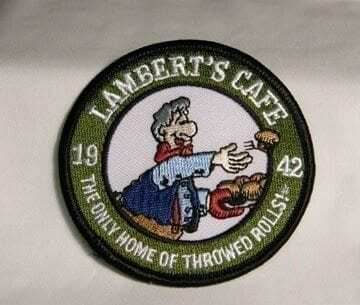 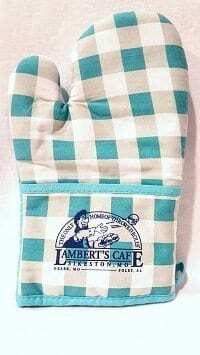 Lambert’s Cafe oven mitt. 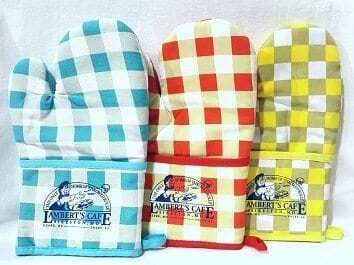 Available in Blue, Red, or Yellow checkered pattern. 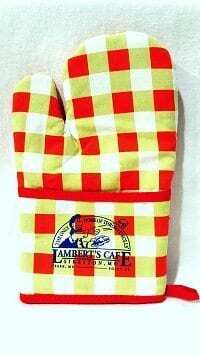 Don’t forget to purchase a matching potholder to go with your oven mitt.